When you watch Olivia sitting on the floor and playing with one of her favorite toys, you might think she is like any other 3 1/2 year old child. She is smiling, laughing, having fun with her friends and all looks normal. But outside appearances do not always tell the story. 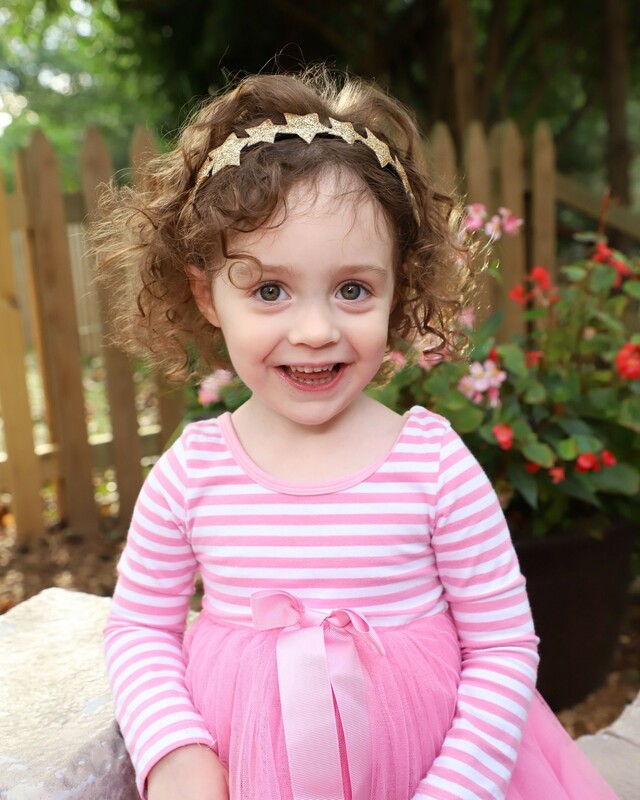 Olivia is a resilient child who was diagnosed with polyarticular juvenile idiopathic arthritis (JIA) when she was eighteen months old. After a year or so of otherwise normal growth and motor skills progression, Olivia suddenly experienced months of regression in her gross motor skills involving her legs. Also, she suffered an elbow fracture that didn't heal properly. These symptoms led us to Children's Hospital for testing and diagnosis. Olivia did not present with the "typical" signs of JIA. Thus, it took about a week of various tests to ultimately diagnose Olivia with JIA. Thankfully, within a few weeks of starting the medication and extensive physical therapy, Olivia was able to pull herself up again and she began taking steps. Unfortunately, a few months later she once again exhibited signs of swelling and stiffness and we learned that the arthritis not only affected her knees and elbow, but had also appeared in her ankles. Additional medication was added to her regimen and thankfully, this led to almost a full year in remission. This past summer, she experienced another flare up, but we are hopeful that with minor adjustments to her medication, she will once again see this disease go into remission. As one might expect, Olivia does not always understand why she needs an injection every week and why, during flare ups, she "can't run as fast as I used to." However, Olivia does understand that she is brave and strong. She takes ballet and tap dancing and recently started playing soccer. With the advances in medical research and improvements in medication we hope a day comes when the pain and injections are long forgotten. Please support the Arthritis Foundation and Olivia as the 2019 Youth Honoree by clicking here. Let’s make this hope a reality. In August of 2018, at two years old, Reese began waking throughout the night saying she was “stuck”, crying out in pain and unable to move, roll over or sit up. The mornings also became challenging as Reese would cry in pain as she was getting dressed, standing, attempting to walk, or just being held. As the day wore on, things would improve and she was able to move around more and more successfully, but she began limiting herself to playing indoors and avoiding any stairs. Within a week, our active two-year-old was crippled frequently in pain and so we consulted several professionals. We were referred to a pediatric hematologist, rheumatologist and cardiologist. After visiting each of them over the course of a few weeks, and after countless blood draws for multiple tests, we were thankful that they were able to rule out leukemia along with a possible enlarged heart. After several weeks of tests and monitoring, Reese’s rheumatologist diagnosed her with systemic Juvenile Idiopathic Arthritis (JIA). Reese initially took steroids and ibuprofen which helped her to participate in her normal day-to-day activities, and to keep up with her three older siblings. She then started Methodextrate in October 2018, but she regressed when she was weaned off steroids, so she has now switched to Humira in hopes of controlling the inflammation in her joints. Despite the occasional challenging mornings, frequent blood draws, daily medications and shots, Reese is a little warrior. 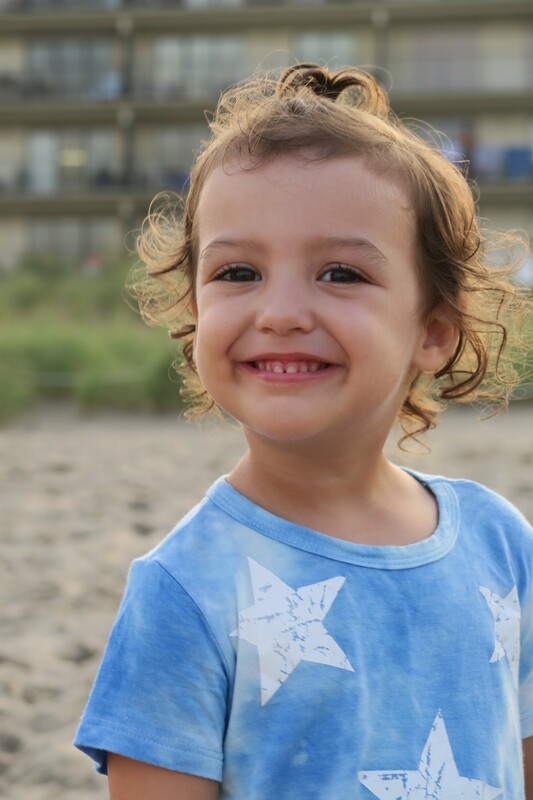 She insists on being the spunky, independent, laughing and lovable little girl that her family knows so well. To join Reese team "Prayers for Reese" or donate on her behalf please click here! When looking at 34-year-old Kenisha, wife & mother of two active boys, you wouldn't dare to think that she suffers from facet joint osteoarthritis. FJO is a degenerative arthritis that causes breakdown of the cartilage, and causes pain and stiffness when the facet joints are moved, which are located in the back of the spine. Kenisha was diagnosed in 2008 when walking became pretty much unbearable. At times her legs would give out and back pain became unbelievable. Laying down was the best relief for her. She had to take pain pills or anti-inflammatories to ease the pain and just to be able to walk. Sleep became more needy as the pain got worse. For someone to look at her and assume because she was young this couldn't be true - Kenisha felt a purpose to keep pushing, not only for herself but for her son. After years of trying numerous medications, pain relievers, therapies and seeing different doctors she is now using natural products with a brand new team of doctors to help guide her in the right path for a rewarding future with her health and movement. She not only suffers from arthritis, she also suffers from fibromyalgia, chrons disease and has a high gluten sensitivity, all while seeing her chiropractor, Dr. Daniel Lane, and her primary care physician, Jessica Hill NP, on a regular basis. Kenisha also provides comfort and support to an online community of over 19 thousand chronically ill sufferers, and she is hoping to provide positive vibes to encourage them to push forward. To support Kenisha or join her team please click here!